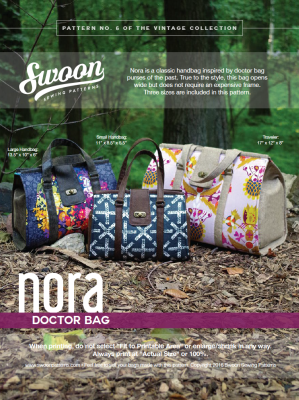 Nora is a classic handbag inspired by doctor bag purses of the past. True to the style, this bag opens wide but does not require an expensive frame. There is one large zippered pocket in the lining. Two sizes are included in this pattern. Leather like handles can be made with Pleather.